Do you often ignore it—-Garbage can? It can be said that Garbage can is a symbol of urban progress, Garbage cans are more common in big cities than small cities and rural areas. It can helps us purify the city and keep the streets clean. It may be lots of garbage all over the streets without them. Most of Garbage cans are made of aluminum. Aluminum Garbage cans are strong and durable, not expensive, easy to clean. Metal trash can have a more durable nature in use, aluminum Garbage can, can be used to recycle more, high practical value, is now using more devices cities. 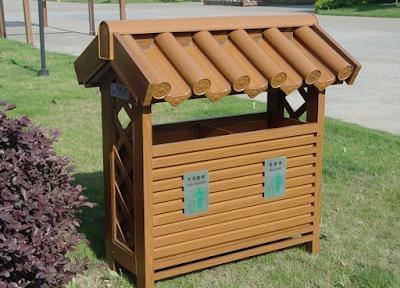 Outdoor trash used for more to adapt to changes in the environment; we are in life, is to see a lot of outdoor trash, have experienced a lot of wind and rain, it is still able to withstand more natural washing use with more convenience factor. Trash implementation, we are one in environmental protection is well represented, more often, will always raise a lot of awareness of energy saving in life, but also to protect our health.